EXCLUSIVE! 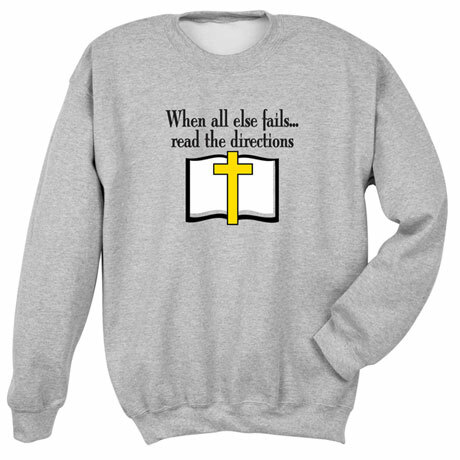 When all else fails... read the directions with religious graphic image of cross and bible printed in white, yellow and black on your choice of a gray, 100% cotton T-Shirt or a 50%/50% cotton poly Sweatshirt. 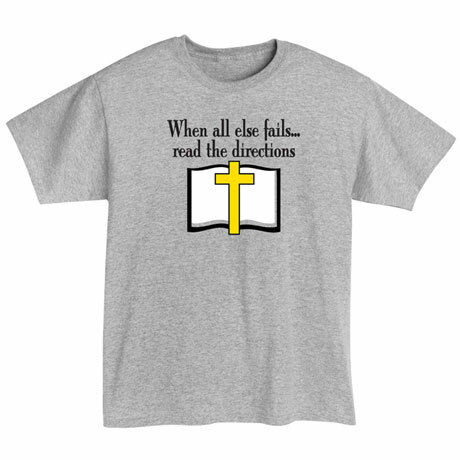 Printed in the USA on imported shirts.